In Missouri, the old timers say ‘the roads were cut from following the path of a drunken Indian’, curvy narrow ways winding over and around the rolling hills through dense hollows, crossing streams, passing fields. And almost guarenteed that every Missouri back road leads to a forgotten treasure. Some of my favorite treasure hunting spots. 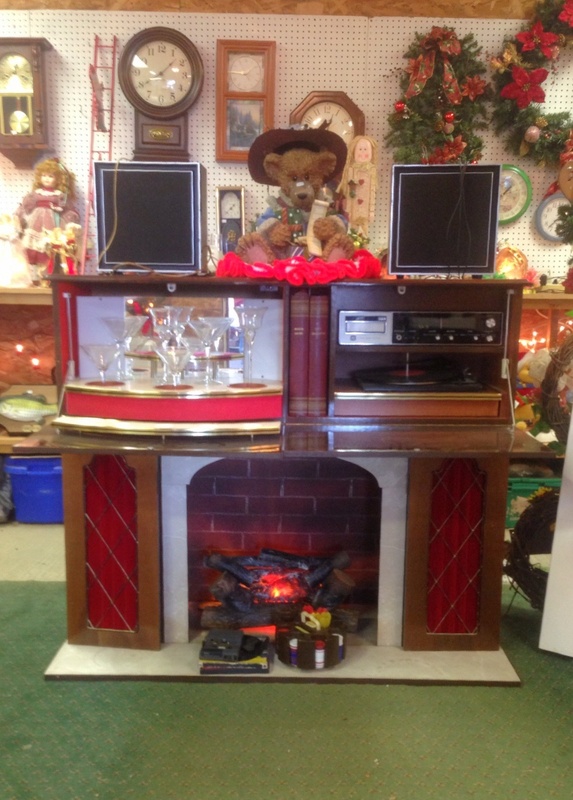 My favorite find on this day: early 70’s electric fireplace with hidden HIFI stereo and mini bar that fold down from the mantel piece! And by treasure i mean great junk! Pieces of the past, reminding us of a day gone by, that clutters up our homes but enriches our lives. 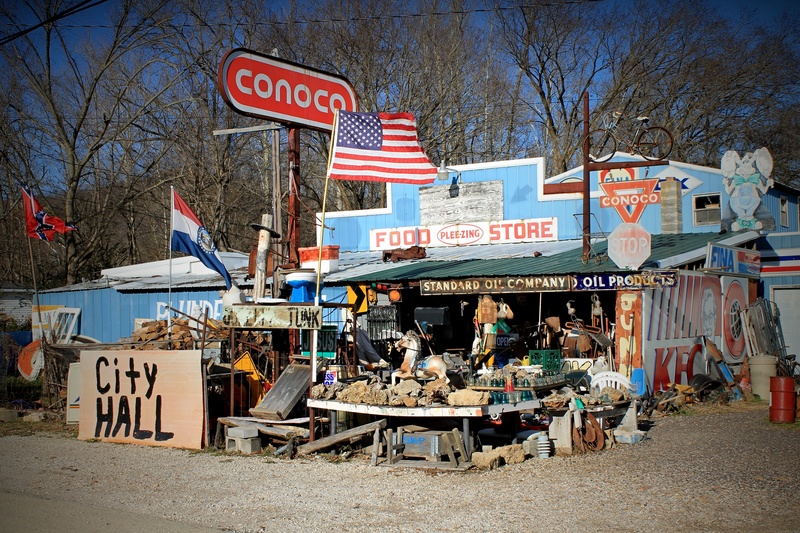 Whether one has a flare for high end antiques of European origins, scrounging flea market crates or dumpster-diving on city bulk trash pick up day, once you get bitten by the “junk-bug”, it’s hard to shake it – And there is no place better than in Missouri, especially in the Ozark foothills, to appease that obsession of searching out pieces of the past. The rich history of pioneers transversing the untamed territory began as early as the 17th century with St. Louis becoming the gateway of westward expansion making modern day Missouri a treasure trove for unique finds. 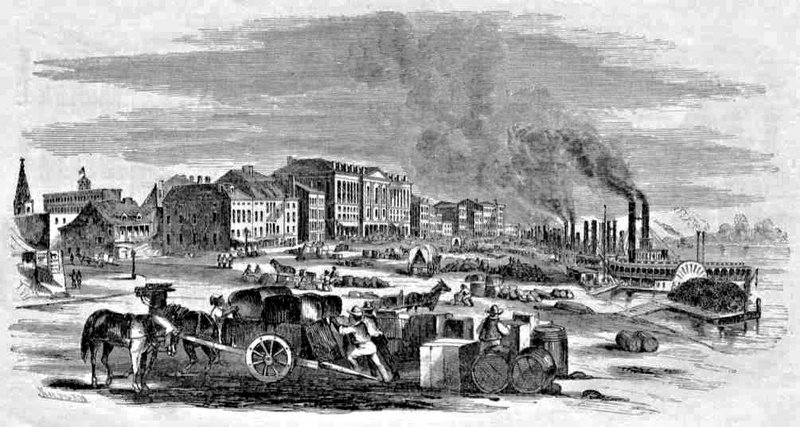 As word spread of the dangers and travel hardship that lie ahead, many families from the East realized by the time they made it to St. Louis it was wise to lighten the load, and much of the households would be sold or traded for goods before traveling on. Pioneers of America’s frontier landing in St louis on the Mississippi river, early 1800’s. This along with the mass migration to a state who’s rich mining deposits and agricultural holdings had a world renowned reputation and where capitalistic opportunities were boundless; saw a diverse population of all classes bringing with them heirlooms from the old country and hand crafted pieces for everyday use. And fortunately some of it can still be found today scattered about the state. Scrounging for forgotten bits of history across the endless back roads of Missouri can prove to be cleansing for the soul and fulfilling for the mind. With scenery that is diverse and breath taking, the Ozark foothills of Missouri has geographic gems and scenic outlooks abound in the numerous state parks, national forest and 100s of miles of clear spring fed rivers. Old postcard view of the scenic Arcadia Valley at Pilot Knob, Mo. The foothills of the Ozark Mountains. 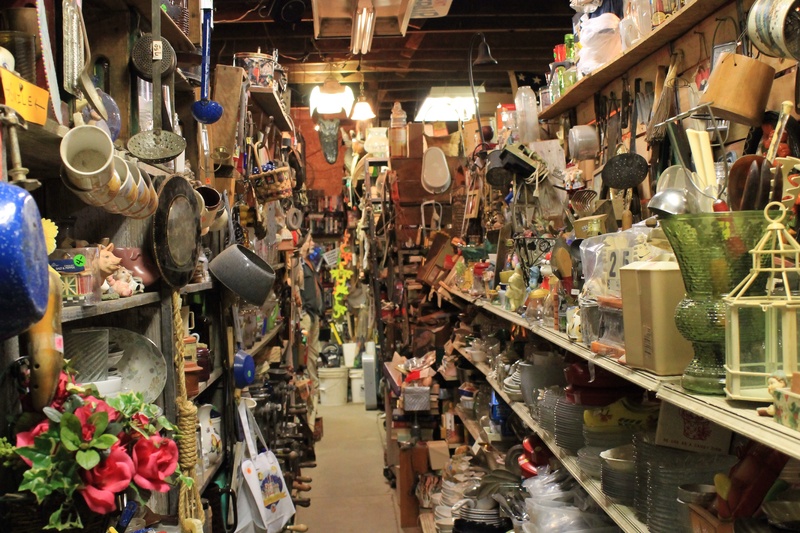 But the true purpose of the drive finds you stumbling upon some of the most remote and fantastic “junk” stores to be found in America’s heartland. 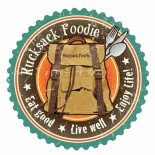 When cruising through the Arcadia Valley on Hwy 21 keep your eyes peeled for this shopping gem of wonder and amazement. Sometimes just a back shelf in a roadside mom & pop general store, sometimes a sprawling mess of weather worn decor potential. Never know what y might find in the back room. 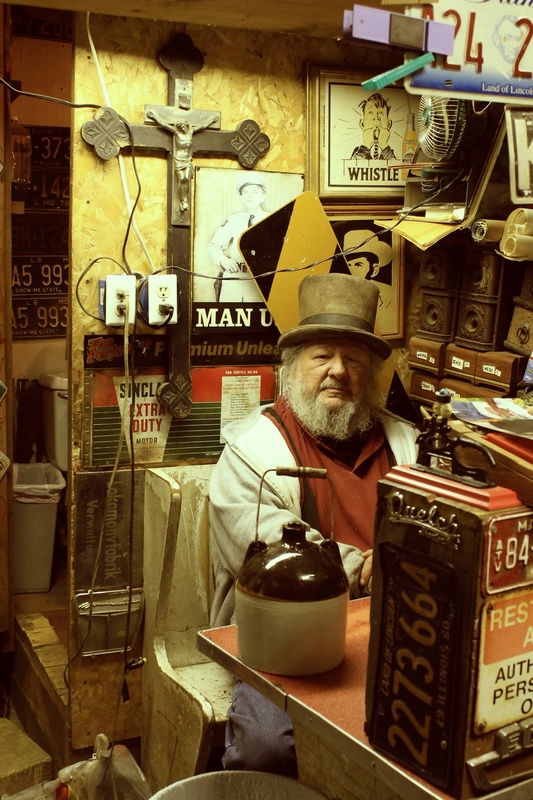 Places called Plunder Palace, where digging for treasure brings about a new appreciation and the grumpy proprietor sits upon a makeshift counter-side throne donning a rag tag stovepipe hat , chatting up the old ladies looking for a bargain. The King of ‘Plunder’ sitting upon his throne, waiting to make a deal. Ironton, Missouri. Where many times the shop keeper is older than most the inventory, still hanging on to the glory days and hoping for a days sale worthy of opening the door tomorrow. Historic farmsteads tuck away in the woods, hiding there simplistic architectural beauty and waiting for you to come discover them on special days they open the door for all to come explore. 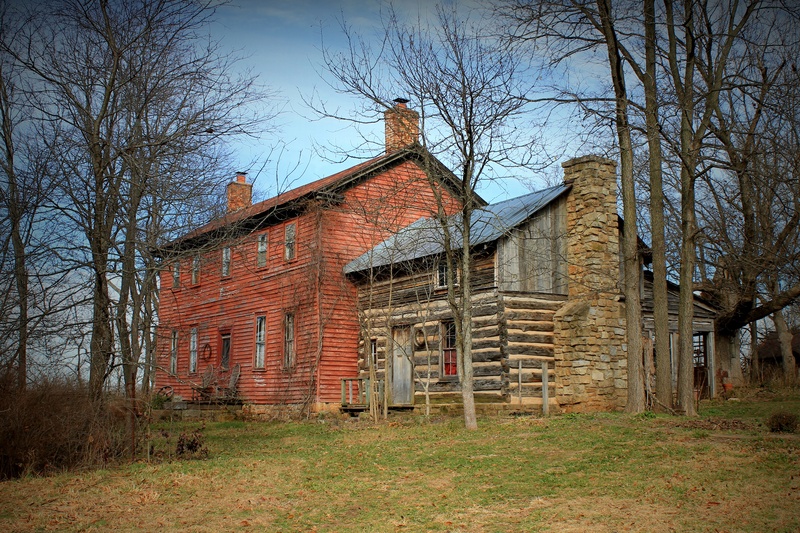 The rustic beauty of this old homestead on the outskirts of Caledonia Missouri, and the history it holds inside and out. 1807 Farmhouse Antiques opens this building, their home, only a few special times of the year! Old buildings of questionable safety crammed to the ceiling with a hodge-podge clutter of trash and treasure. The junk/treasure filled isles of Plunder Palace, Ironton Missouri. Miles of curves leading from one small town to another, with signs that you are not alone in your quest. Old fashioned “social media”, along HWY 21 in Missouri. Main streets once flourishing with mom & pop shops now mostly empty store fronts with strewn about shops of forgotten mementos of days gone by. The old Baldwin Brother’s Hardware: survived over 125 years, through the depression, family hardship, local factory and mine closures, but the past few years of progress in the near by metropolis of Farmington probably was too much for this small family operation. 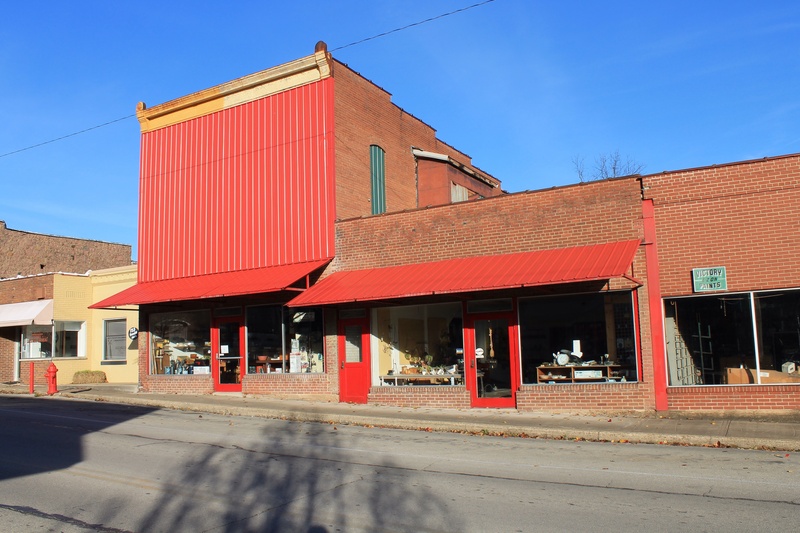 Old general stores preserved and restored with counters and cases bulging of nostalgia. 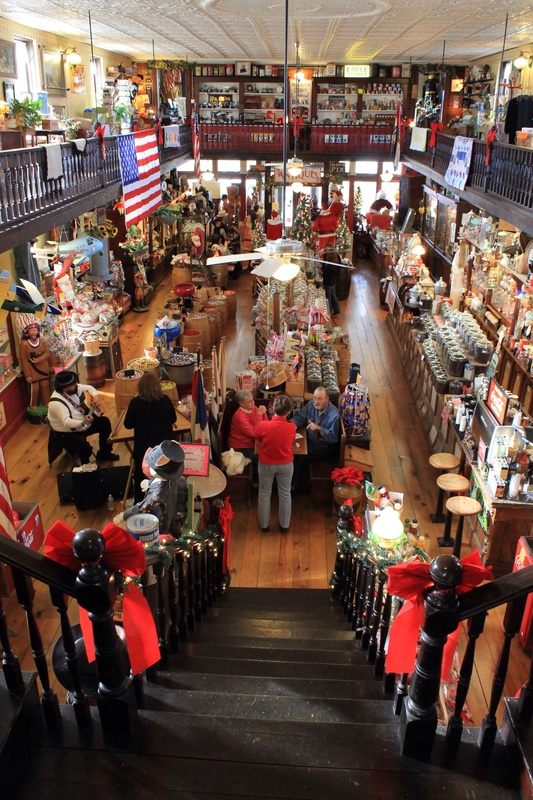 The wonderful step-back-in-time experience to be found at The Old Village Mercantile in Caledonia Missouri. Roadside sheds converted to treasure hunting Meccas on the weekends. Saturday morning farm auctions, and fair weather weekend flea markets. 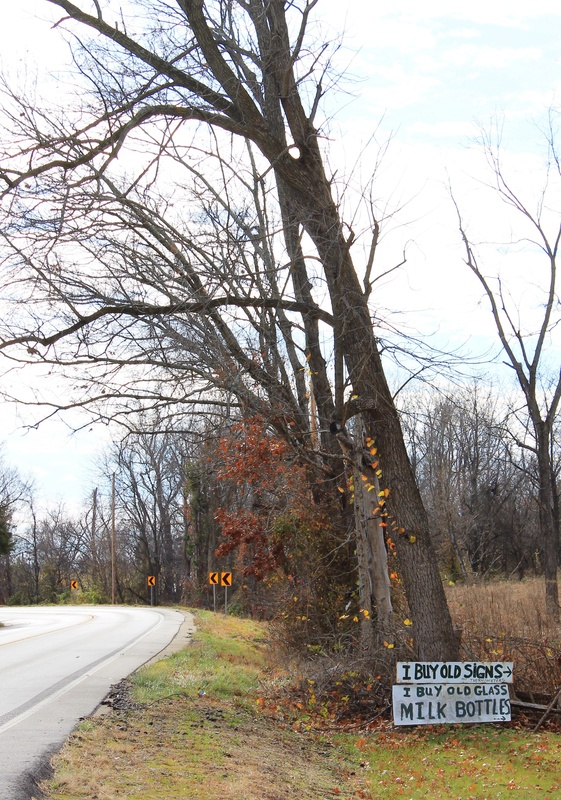 As the backroads and scenic views are endless, so are the possibilities of treasure hunting while getting a little lost on Missouri’s curvy backroads. 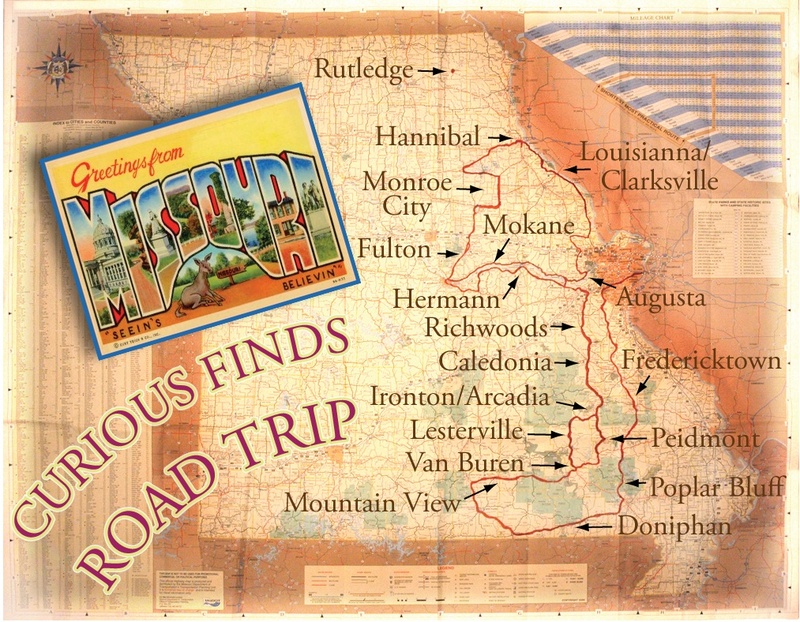 Here are some great links to finding your way through Missouri’s curvy backroads, never knowing what treasure might await your around the next corner! Arcadia Valley Van Buren Mo. 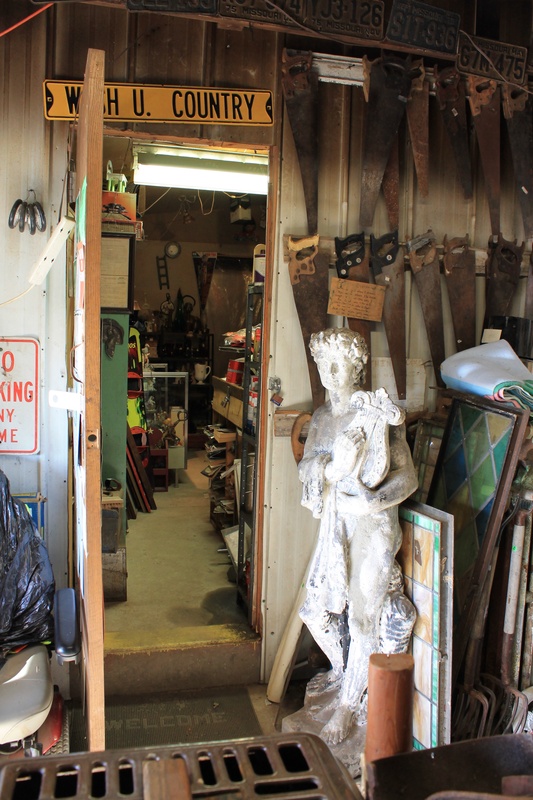 ….and some more pictures of my road tripping treasure hunting this winter. 18th century cemetery, Old Mines, Mo. This entry was posted on January 20, 2014 by Rucksack Foodie in Extracurricular, History, Stops & Stays, Travel and tagged Arcadia Valley Missouri, back roads, Caledonia Missouri, Junk hunting, Missouri antiques, Missouri Tourism, Ozark foothills, Plunder Palace, road tripping, rucksack foodie, travel.